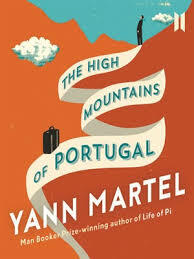 I’m just back from a wonderful few days in the Algarve and I brought an intriguing book with me ‘The High Mountains of Portugal’ by Yann Martel. Author of the Life of Pi, Martel’s novels have elements of magical realism in them and this novel is no different. Laid out in three parts, each links to the other very subtly pulling the reader into the deep themes of the book which include evolution, religion and love. It helped me to fall in love with this country all over again. In fact I could never fall out of love with it because it has so much to offer in terms of culture, food, wine and when the sun shines (which is often) there is nowhere like it. 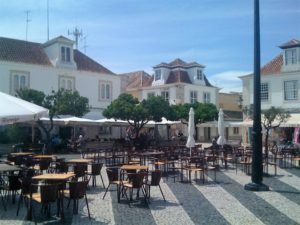 With the rise in Irish visitors to Portugal I have three great suggestions for places to visit in this delightful country. 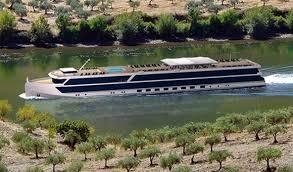 What nicer way of taking a trip through the high mountains of Portugal than on a luxury barge? How can such a picturesque river valley – with its dramatic cliffs, lush hillsides, medieval walled villages and fine vineyards – remain so relatively undiscovered? How can so few others have enjoyed the sensation of basking on a sun deck as the unmistakable chirping of crickets and the fragrant scents from the surrounding hillsides pervade the warm evening air? 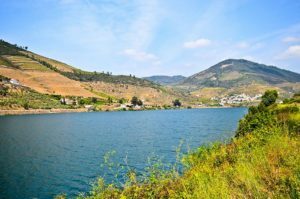 You’ll feel that your river cruise on the Douro is a true revelation, taking you deep into one of the most unspoilt corners of Europe. 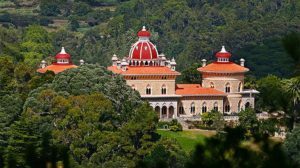 Travel from Porto in Portugal along the beautiful river Douro to Salamanca enjoying the breath-taking scenery. 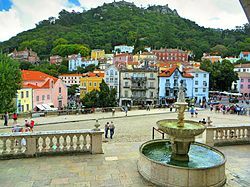 Further down the coast is Lisbon and I think one of the most interesting capital cities in Europe. It’s a real rival to Barcelona and boasts a UNESCO heritage site unlike any other in the world. Take time out to explore this beautiful town with incredible architecture from the nineteenth century that you wont see anywhere else. 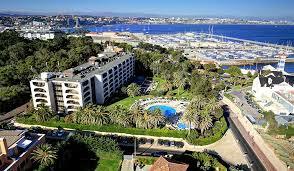 It’s a little more expensive than the capital but very enjoyable and with a marina to rival the riviera. 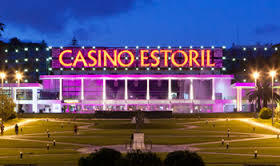 Try your luck at Estoril casino a short taxi ride away and get to feel like James Bond. All prices are based on 2 sharing, and include Aer Lingus flights from Dublin, 10kg pp carry-on bag, airport transfers, and 7 nights accommodation. Check-in bags are extra. 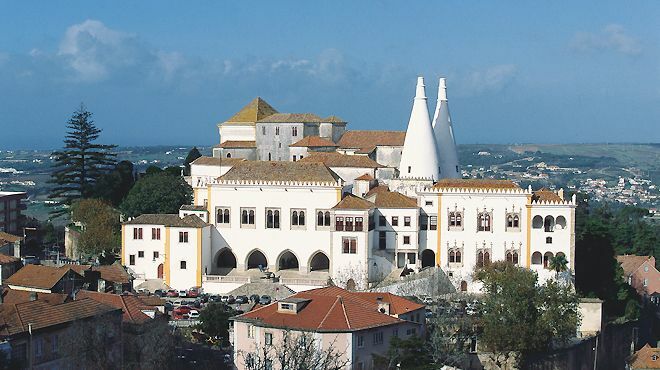 This southern-most strip of coastline is most peoples choice of destination when travelling to Portugal. With sunshine for much of the year, this winter it enjoyed one of the sunniest with light winds and many visitors. Proving to be hugely popular, not just with the Irish and UK visitors but also the french and Chinese. 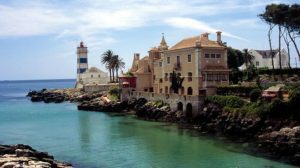 The Canadians have now direct flights to the Algarve and many are coming to avoid the long cold winters and staying for up to three months. 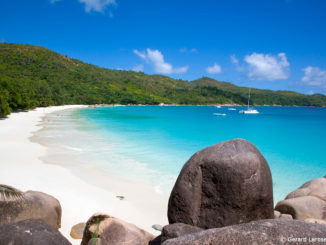 Car hire is cheap so check out the quieter towns where the locals live and explore this paradise before everybody else finds it! 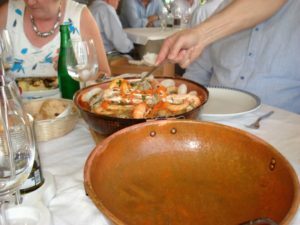 Dont forget to try traditional dishes and Portugal is wonderful for fish. Enjoy Cataplana, the local fish stew and the gigantic sardines. One of my favourites is Shrimp in garlic and oil. I found Pego Do Inferno several years ago when it was only visited by locals but the secret is out and many tourists have found it. 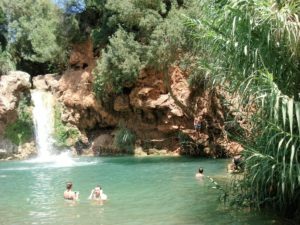 This oasis set in the mountains is easily accessible by car and only 7km from the town of Tavira. The tropical waterfall and lush foliage will make you feel like you are in a south seas paradise. 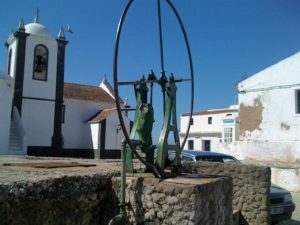 Go exploring in the Algarve and find places lost in time. One of my favourites is Cacela Velha which is like stepping into a postcard. 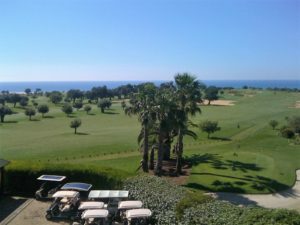 It has breathtaking views of the coast line and a quiet easiness that will transport you back to the Algarve of old before it became a tourist hotspot. 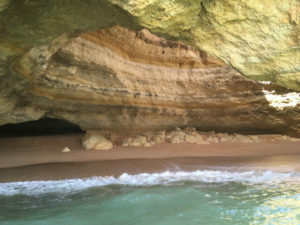 If you are staying in Albuferia take a boat trip on Algarexperience http://www.algarexperience.com/pt/ and see the beautiful caves that line the coast. Set off from the newsy built Albufeira Marina and enjoy a sunset bbq or go searching for dolphins on the high speed catamarans. Cathedral Cave is rated as one of the most spectacular in the world and can only be seen by the sea. Portugal and golf go hand in hand and my top tip for a beautiful course is Castro Marim in the eastern Algarve. 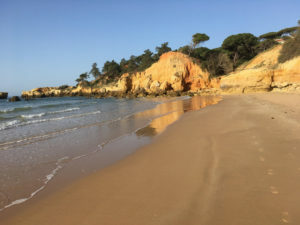 I stayed recently at the lovely Alfagar Apartments in Santa Eulalia, close to Albufeira which are expertly equipped for families. The hotel bars and restaurants are excellent value with delicious food and nightly entertainment. Pop down to the Bougonvillia Bar and enjoy the craic with waiters Marco, Miguel and Manuel, there’s more than a touch of the endearing Fawlty Towers about this gem of a property. 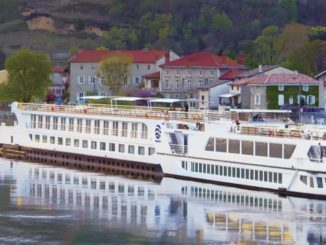 Uniworld River Cruise has offers and upgrades!